State Bank of India (SBI) has said the discount offer is available in select cities, including Mumbai and Pune. SBI or State Bank of India has announced a discount of up to Rs 250 on booking of an Ola cab ride in a limited-period scheme. The offer, SBI said on microblogging website Twitter, is valid till December 15, 2018. 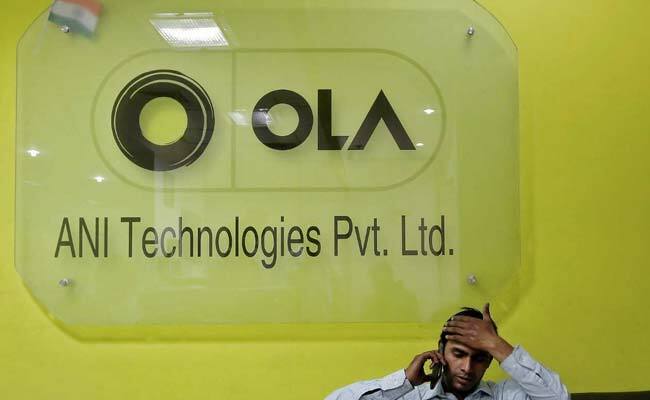 In order to avail the discount, the user is required to book a trip with ride-hailing company Ola's mobile app and make the payment using UPI or Unified Payments Interface-based payments system BHIM SBI Pay. The discount offer is available in select cities, including Mumbai and Pune, according to SBI. The user can avail a discount of Rs 50 each on first three Ola rides. This offer is applicable on micro, mini and prime series of cabs, according to SBI. The user can avail this offer by using coupon code "UPI50", SBI noted. Under the scheme, the user can avail a discount up to Rs 150 on his/her first Ola Rental booking using coupon code "RENTUPI50", it added. The user can also avail a discount up to Rs 250 on the first outstation ride. To avail this offer, the user is required to enter coupon code "OSUPI250", according to SBI. 1. Open mobile app Ola and select any of the Micro, Mini or Prime categories of cabs to proceed. 3. Click on the "Apply Coupon" button, enter the coupon code ("UPI50", "RENTUPI50" or "OSUPI250") for UPI-based payment and tap on "Apply". After this, the coupon code is applied. 4. Prior to booking, select "Add Existing UPI ID" under the payment option to make the payment. 5. Add the UPI ID and click on "authenticate". 6. Once authenticated, select "UPI ID" as the payment option. 7. Click on "Confirm booking" to book the ride. The offer is applicable in 19 cities in Gujarat, Madhya Pradesh and Maharashtra. In Gujarat, the discount is available in Ahmedabad, Vadodara, Rajkot, Surat, Bhavnagar and Jamnagar. In Maharashtra, it is available in Ahmednagar, Amravati, Kohlapur, Mumbai, Solapur, Aurangabad, Nagpur, Nashik and Pune, and in Madhya Pradesh, the offer can be availed in Bhopal, Indore, Jabalpur and Ujjain, according to SBI.